Your patients are informed, digitally empowered, and socially connected. Creating a consistently positive experience for them is more important than ever. Both current and new patients use online reviews to evaluate doctors. 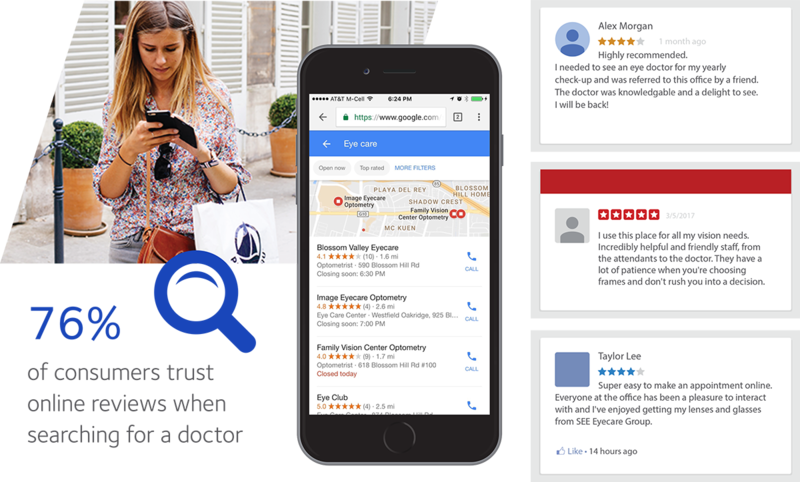 Positive reviews are essential to attracting and keeping patients and they can also help with your search engine optimization. Stay in the loop with what your patients are saying. According to a Harvard Business School study, a 1-star drop in a rating can impact a business’ revenue by 10%. Other factors that strengthen your rank in online searches are the number and diversity of reviews, where they appear, and the number of inbound links (links that lead to a page on your website). You need an effective system to view, evaluate, and respond to your patient feedback. Prime Nexus can help you do this with customizable patient surveys that you can send to your patients via text and/or email. Send automatic ‘thank you’ messages to patients right after their appointment, when the office visit experience is still fresh in their minds. 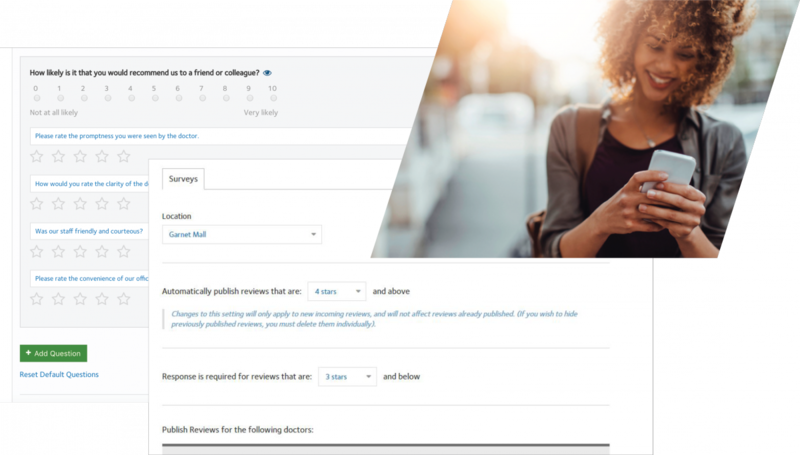 You can set up the message to include a brief survey and invitation to post reviews on Yelp, Google Plus, Health Grades, and/or Vital. 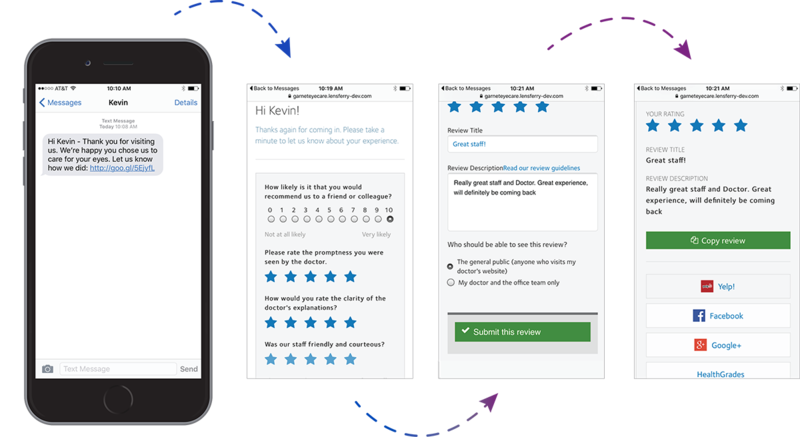 Plus, we make it easy to reply to reviews in-app. 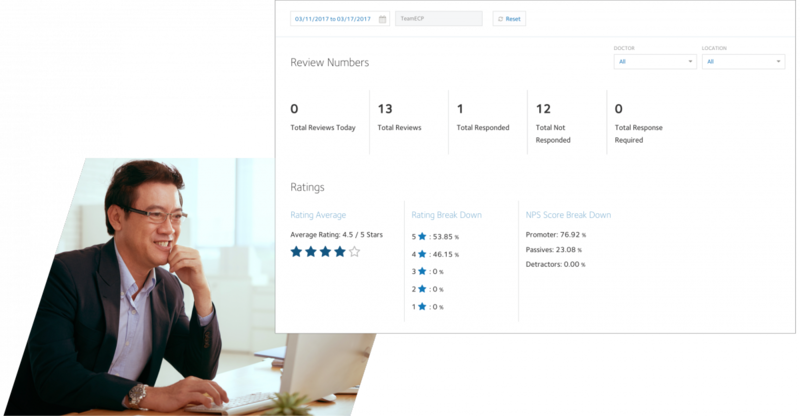 Review the automatically aggregated patient survey reports to stay in-the-know on your patient’s experience. When you receive positive reviews about your practice, you want patients to read them too. 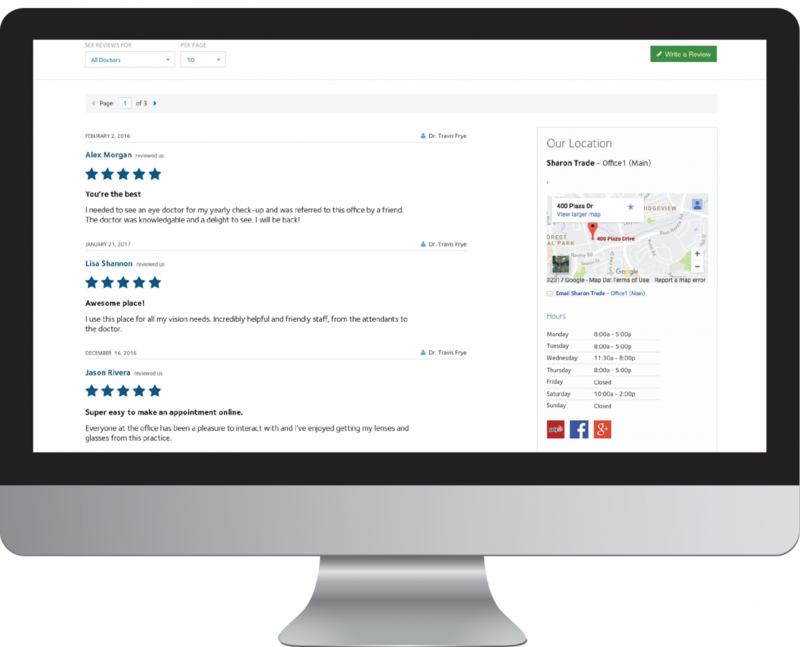 Prime Nexus makes it easy to automatically share your positive reviews directly to your website for other patients to see. I come to this practice for all my vision needs. The staff and doctor are incredibly helpful and friendly. Highly recommended!